The smell of this chicken roasting in the oven is enough to fall in love! Roasting a whole chicken is pretty simple to do, as long as you have a thermometer you can’t go wrong. 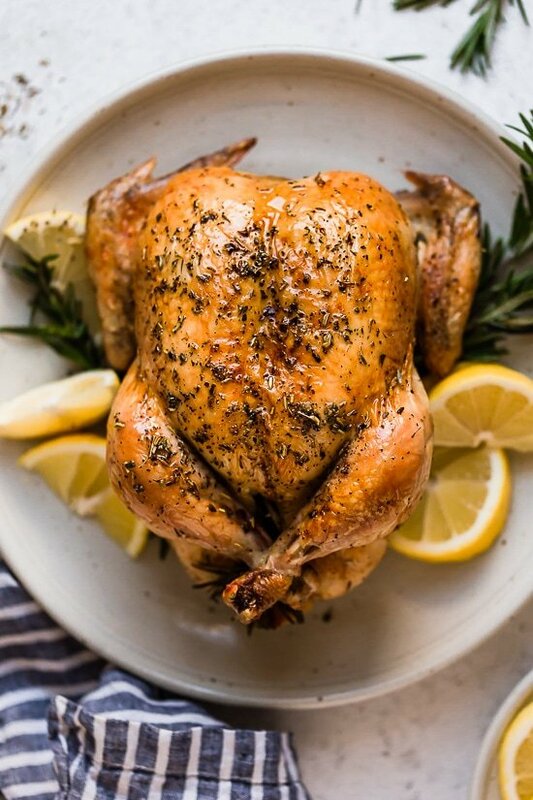 The combination of rosemary and lemon is wonderful with chicken! Serve this with roasted vegetables on the side and use the leftover chicken bones to make a wonderful stock.